I know, I know, there is no way to really know without taking a poll of every jellyfish, starfish, etc. But to the extent that you actually do know, or that you can reasonably speculate, what do you think the average age of members of the collective is? How about the mean age? How old are you? I would guess 25 or so, but judging from some of the obnoxious and attacking comments we get here once in awhile, I am inclined to say 10 or 11! Lol. I’ve always guessed the pool to be mostly between 25–35 but I don’t know but a few people’s exact ages. I would guess about 30, maybe 35, also. I’m 27. Don’t know. I would say late 20s. I’m 25. I’m probably nearly the youngest (well the youngest person that can have an account without violating rules) and I’m 13. I’m 24, but I’m going to guess 25–40? Average? I really have no idea. The average age of regulars might be quite different from the average ages of registered nonparticipating members and occasional drop-ins. Of the active members I know, the range is from 12 to somewhere in the 70s. Sometimes it seems to me to be all kids. Sometimes it’s all us old farts. Sometimes it seems to be all young parents. In truth I really have no idea. I think the youngest jelly is 13. For the sake of mathematical simplicity, I’ll say the oldest is 73. This would make the median age 43. I’d say there are more jellies younger than 43 than there are older. 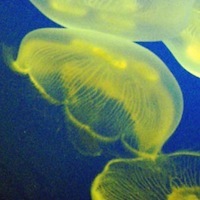 I’ve seen quite a few jellies in their 40’s and older, but that’s such a small portion of the 34,000 or so that exist. My guess is about 30 YO. I’d say that a plurality of the jellies are in their 20’s. I’ll say people are mostly from 25–35 with, of course, others as well being around. Would this be physical age or the person’s mental age? @Brian1946 Btw, there’s a law that you’re supposed to be 13 to have an account on a site like this (COPPA), so the youngest should be 13. @josie I’m going for an average age of 31. This is like guessing the beans in a jellybean jar at the fair. If I win, I get to take over Fluther for a day. I have been an average age of 55.5 years during my membership on fluther. I’m 54. Average that in with Astro Chuck, who is 6, and dpworking, who is like a million, and you end up with about 333,353. I have no clue, and in thinking about it, it really doesn’t matter to me. It is the pearls of wisdom offered that mean the most. I’m 28 (soon to be 29). I’d say the average age is 30–35 from the times I’ve seen people mention their ages. Well, you asked an interesting question there. And you very well might be interested in the answer some have found in focusing upon the positives in an ancient archetype. Take a gander (pun intended) at the following. Yes, I happen to be very okay with my aging process…I LOVE the age of wisdom, no regrets here! I am 42. I think the mean age means nothing. Mean averages in general can be fairly deceptive. Probably the Mode Average would be most informative. Maybe. Well, Mode and Mean, and the youngest and oldest person on the site. It would be good to see it drawn out as a curve on a graph. Have no idea, but I’m 63 and stopped counting! My guess is 28 and I am twice that. Well, I just not too long ago turned 51 and that made me cry since I did not realize how time really passed. But I feel real lucky to be healthy and for my family to love me and seek for me in may occasions. @josie may I ask your main objective in getting these stats? I mean your personal reason or reasons? Which statistics from reputable surveys have you found suprising/shocking? Widgets & Gadgets vs. Users of Different Age, etc.